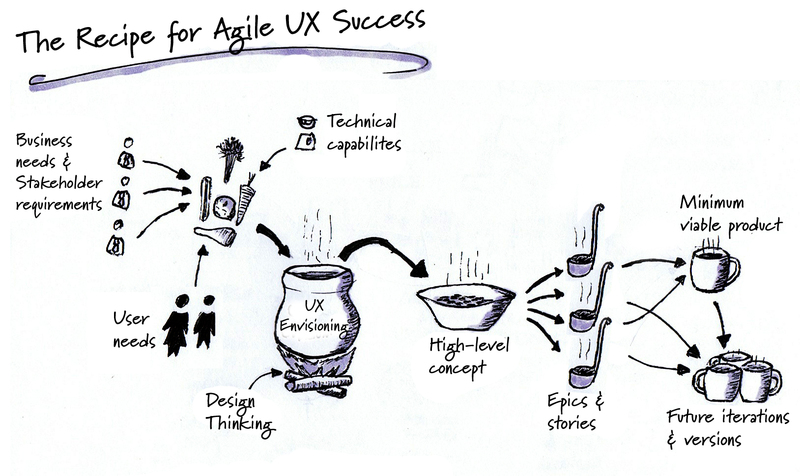 The Recipe for Agile UX Success | Melbourne, as in the city. As a bit of Friday fun, I thought I’d share something from my sketchbook which came up during the week. This visualisation fell out of my head a while back when I was trying to explain to someone how UX fits in to Agile in a simple way. As with any methaphor, it has it’s limitations, but I thought someone might find it an interesting to think about things. ← My name is Ben, and I’m a serial guerrilla researcher. I didn’t try to add it in to this sketch, but any good chef should be sampling the dish along the way, seasoning to taste, and making sure that you have a good balance between all the flavours. If anything it would be unnatural not to test and tweak a dish as you are cooking.